Next125 handleless oak graphite units with 20mm Ginger Ceasarstone worktops and white splashback. 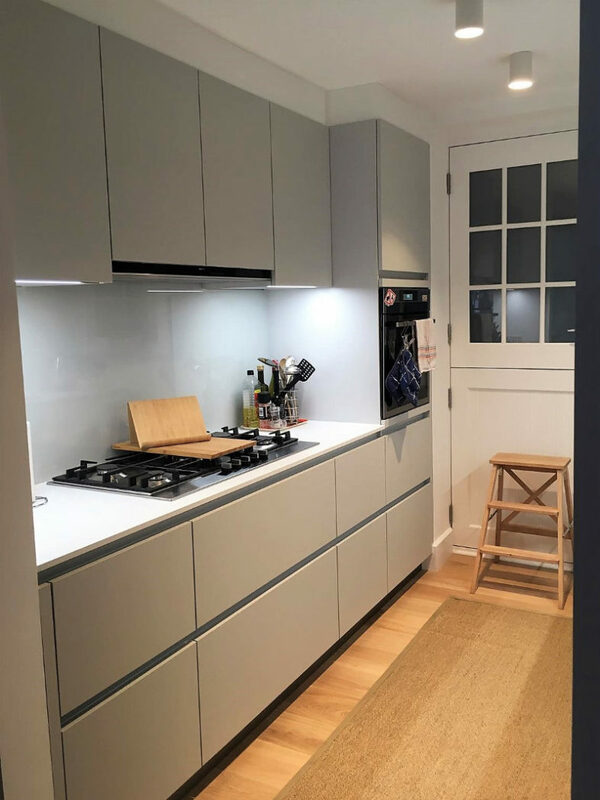 Neff appliances and a sleek integrated extractor. 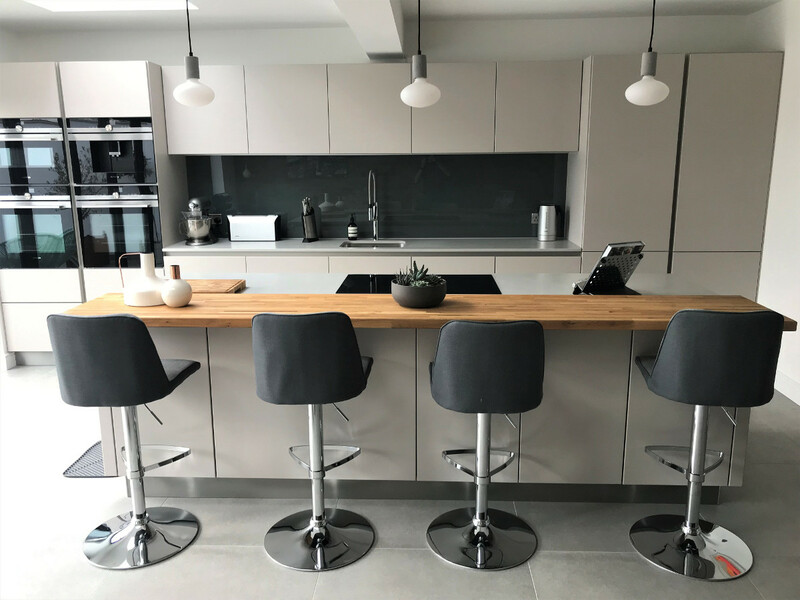 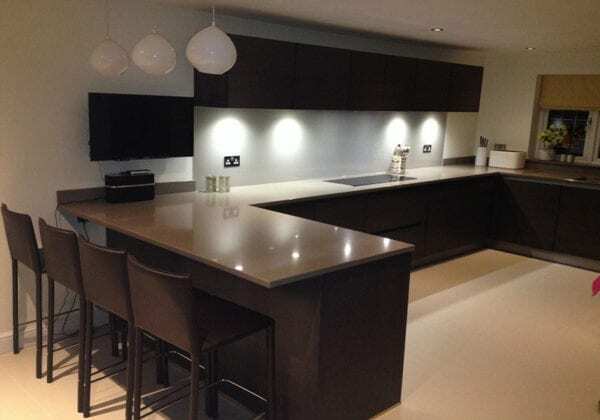 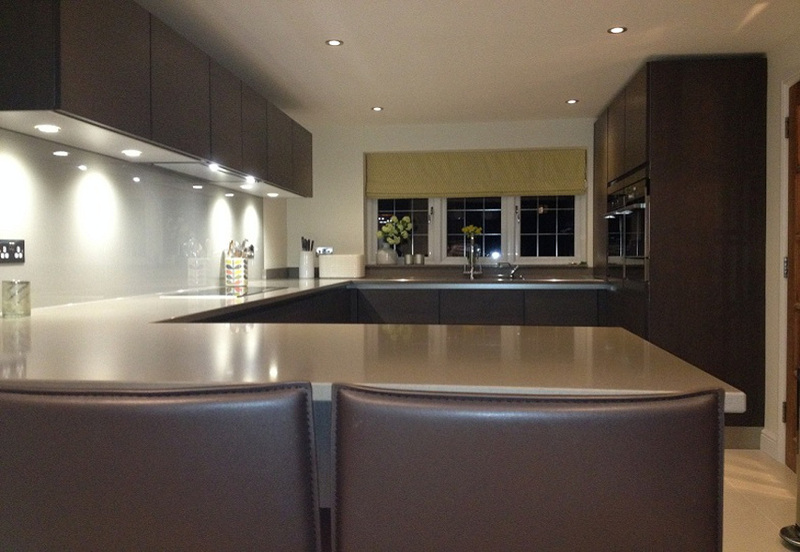 Factory fitted built in LED underlights give this kitchen a beautiful look at night.